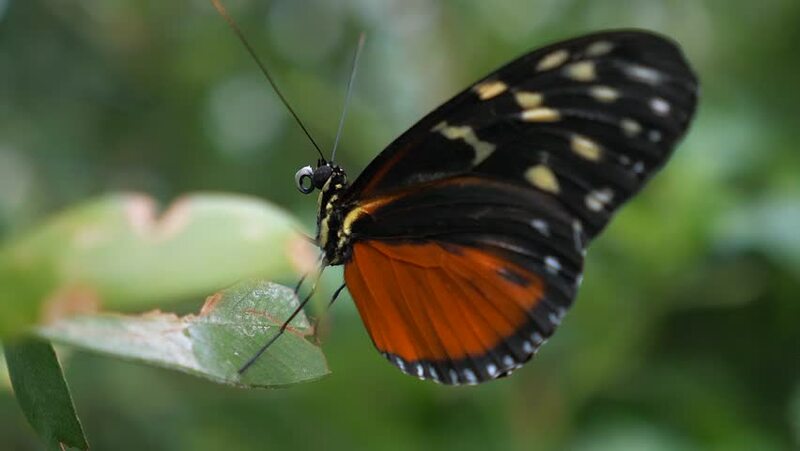 Close up of a black and orange butterfly on a leaf. 4k00:13Orange, white and black butterfly opens and closes wings, sitting on a leaf. Profile, steady shot.